Homeopathy: a drop in the ocean? As a skeptical chemist I have, until now, avoided the topic of homeopathy. It felt a bit obvious, rather like shooting fish in a barrel. Hasn’t everyone and his sister written an article about it at some point? There’s the brilliant 10:23 campaign on the subject, and the comedians Mitchell and Webb even wrote a fabulously funny sketch on the topic (do watch it if you haven’t, I particularly love the idea of homeopathic lager). How much more mainstream can you get? Surely everyone knows it’s a load of old nonsense by now? And yet, and yet… I still meet people that don’t know what it is, or who are a bit confused about it. Many don’t know the difference between herbal remedies and homeopathy. Many think they know someone who’s used it and it’s worked, or have used it themselves and felt that it helped them. Worse, the NHS, despite admitting outright that, “homeopathic remedies perform no better than placebos, and that the principles on which homeopathy is based are ‘scientifically implausible” still spends money on it, going on to say on the very same web page that “there are several NHS homeopathic hospitals and some GP practices also offer homeopathic treatment.” There are widely divergent figures on exactly how much the NHS spends on this treatment which they fully admit does not work, but there’s general agreement that it’s in the millions. A fullfact.org article written in 2010 concluded that it was £12 million from 2005-8, which didn’t include the £20 million spent refurbishing the Royal London homeopathic hospital from 2002 to 2005. More recently a Daily Mail article (yes, yes, I know) claimed it was £4 million a year. In a way, does it matter? It may be a tiny proportion of the NHS’s total £108.9 billion budget, but it’s still millions of pounds of public money. For something that doesn’t work. Ok, but what is it? Well firstly let’s briefly talk about ‘mainstream’ medicine. Also called conventional medicine, allopathic medicine, orthodox medicine or Western medicine, it’s the system by which trained professionals (doctors, nurses, pharmacists etc) treat diseases and their symptoms using tested drugs. And make no mistake, mainstream drugs are tested. Different countries have different regulations, but in the UK clinical trials involve at least three phases and take ten to fifteen years or even more. Homeopathic treatments don’t have to go through this testing. And unlike conventional doctors, who have to complete five years of study followed by further years of foundation training and yet more studying, there is no regulation of homeopathic practitioners in the UK. Now, that ought to give anyone pause for thought. Secondly, all drugs that actually work have side effects; effects that are secondary to the intended ones. All of them. There’s no avoiding it; there’s ‘no effect without side effects’. You may not experience them personally, but someone somewhere almost certainly will. Much of medicine is about balancing side effects against positive effects, and a lot of the time it comes down to how severe and life-threatening the disease being treated is. If you have a bit of a cold, you’re probably happy to take some paracetamol which, when taken at the proper dose, has ‘as rash’ listed as its only side-effect. But since the odds are very good that you’re going to recover from your cold whether you treat it or not you wouldn’t, on the other hand, want to take something that might have serious side effects like the anti-viral Tamiflu (headaches, nausea, cough, vomiting, sleeping problems, indigestion, pain, tiredness, vertigo… and that’s just some of them). However, if you genuinely have flu (real flu, not “I’ve got a nasty cold but I’m calling it flu so that I sound like less of a skiver”) then Tamiflu might be appropriate, because real flu can be genuinely life-threatening. Why is this relevant to a discussion about homeopathy? Because homeopathic treatments don’t have side-effects (at least, not any directly related to the pills and potions themselves). Homeopaths are generally quite keen to tell you this. But it means that the treatments are ineffective. There’s no getting around this I’m afraid. You can’t have your cake and eat it, even if you dilute it by a factor of 1060. Speaking of dilutions… Now, I’m not about to go into a huge amount of detail about the history and reasoning behind homeopathy because, firstly, other people have already done an excellent job of that, secondly I always worry that it starts to sound alarmingly plausible if you’re not very careful and thirdly, a summary ought to be much more potent than a full description (this little witticism will make sense in a minute). Certain substances, poisons generally, cause nasty symptoms. Homeopaths believe that if you take very, very tiny amounts of those substances they’ll do the opposite and cure those symptoms when they’ve been caused by an illness. For example, arsenic causes headaches, nausea and diarrhoea. So logically (for a given value of ‘logic’) at homeopathic doses it’s used to treat digestive disorders and food poisoning. These tiny amounts are achieved by successive dilutions: you add one drop of a substance to ninety-nine drops of water, and then you take one drop of that mixture and add it to ninety-nine more drops of water, and then you take one drop of that and…. …You keep going until you’ve done it at least six times. Remember each dilution is a factor of one hundred. The first time it’s done you get a solution of 0.01%. By the time the procedure’s been followed six times, it’s 0.000 000 000 1%. This is called 6C. Homeopaths believe that more dilute solutions are more potent, that is they’ll be even better at treating the illness than something more concentrated. One question asked entrants to calculate the mass of arsenic oxide in 100 ml (a small amount, but still about four times greater than the volumes that are usually sold) of a 30C homeopathic remedy. The answer was 2.06 x 10-30 grams. That’s a thousand times less than the mass of a single proton. A drop in the ocean isn’t the half of it. Not only is there not even one molecule of the original substance in there, the dilutions have wiped out even the possibility of a sub-atomic particle. Then they were asked to work out the amount of the remedy someone would need to take to experience a fatal dose, and express the answer as a fraction of the volume of the Earth. The answer? 4500 times the volume of the Earth. Probably no need for those “in case of accidental overdose contact a healthcare practitioner” warnings, then. Finally, how many bottles of the solution would you need to buy to stand a chance of obtaining one atom of arsenic? The answer: 285 million bottles. 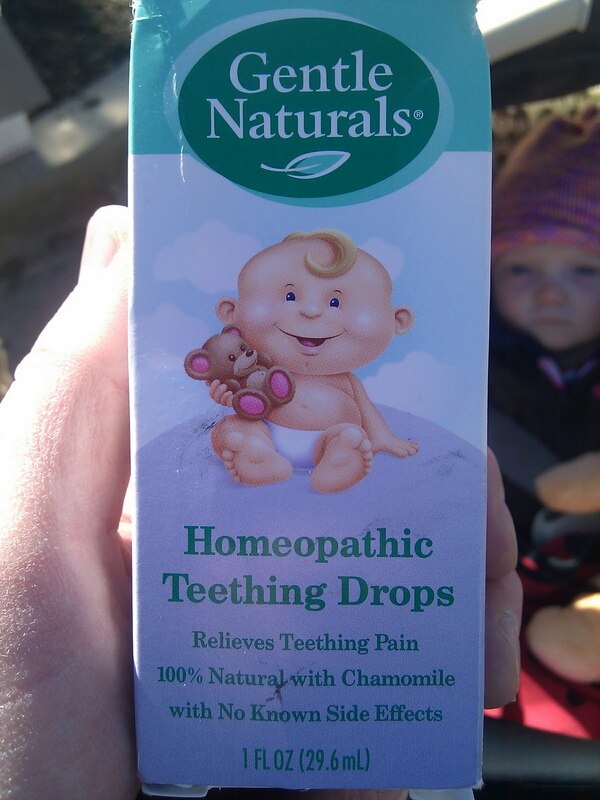 So let’s be clear, homeopathic remedies have no active ingredient. Nil. Nothing, Nada. “Ah,” say the homeopaths, “we accept that. That’s not the point. The water ‘remembers’ the original chemical; the water molecules retain a ‘memory’ of that substance and it’s that memory that has the effect”. At this point people who actually know some science start tearing their hair out (by the way, apparently fluoric acid, i.e. HF, is a recommended homeopathic treatment for hair loss – good job it is diluted else it might eat through the glass bottle). Just think about it for a few seconds. If it were true that water retains a memory of the substances that have been dissolved in it, and that memory was so powerful that it could have a real, physiological, effect on the body, then we would be constantly bombarded with ‘treatments’ every single time we drank a glass of water. You know that water that comes out of your tap? Well, sorry to be blunt about this, but it went through a few other people before it got to your tap, picking up all sorts of substances on the way. Your local water company purified it, and in the process almost certainly added coagulants to precipitate out impurities. These are then removed of course (that’s the point) but if what the homeopaths suggest is right (which it’s not) your water would ‘remember’ them. Lead pipes would be the least of your worries. From here the theories get increasingly outlandish. Next stop, ‘transference’. This is the idea that remedies can affect living organisms from a distance. Yup. Basically a practitioner can call someone on the phone and proceed to diagnose, and treat, them from miles away, without them having to actually swallow a thing. Oh yes, and also water placed next to a homeopathic remedy (which is also just water, in case I need to say it again) can take on characteristics of the remedy. Now, if this were true the world simply wouldn’t work the way we know it does. You’d be exposed every time you walked past the Alternative Remedy section in a shop. Humans have really quite a lot of water in them; if anything like this actually happened, you could ‘catch’ antibiotics from your friend who happened to be taking them, just by standing too close. 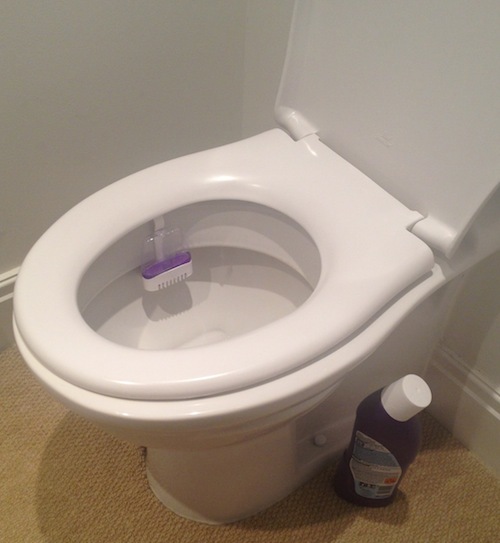 You wouldn’t need to clean your toilet, just leave the bleach bottle next to it and it ought to work by transference (many students have tried this, it really doesn’t work). The homeopaths will cry that I’m wilfully misunderstanding their methods, because I’ve forgotten to mention ‘potentization’. Oh yes, allow me to explain: when you prepare a homeopathic remedy you have to shake or tap the preparation at each stage – sometimes with a particular object (a magic wand, perhaps) – otherwise it doesn’t work. It’s not just the dilution, it’s the special tapping that does the trick, because it somehow allows the water molecules to remember the energy signature of the molecules of ‘active’ ingredient. Next time someone claims homeopathy works, ask them if they believe in magic. There really is very little difference. At this point though homeopaths resort to a few final bits of misdirection and sleight of hand. They claim that everyone who casts doubt over homeopathy is in the thrall of ‘Big Pharma‘. They say that the big pharmaceutical companies – whom they imply control the world, possibly from a giant hollowed-out volcano somewhere – deliberately discredit homeopathy because they have a lot to lose if people use it instead of conventional (they tend to use the term ‘allopathic’) medicine. This neatly sidesteps the fact that homeopaths have an awful lot to lose if people stop buying their pills and potions, and especially in the UK if the NHS stop funding it. In fact, I suspect they have a lot more to lose since pharmaceutical companies, for all their faults, are required by law to prove that their drugs actually do something. And finally homeopaths will tell you that allopathic medicines have killed millions of people, whereas homeopathy has never killed anyone. Hm. It’s true that people die from negative drug reactions. It’s also true that sick people sometimes die. Occasionally it’s difficult to say whether a person would have died sooner with or without drug intervention. But for most people conventional drugs are far more likely to keep them safe and well than kill them. Homeopathy on the other hand… well it’s true the remedies themselves won’t kill you. A little bit of sugar and water never killed anyone. But, sadly, there are people who don’t seek conventional treatment because they believe what a homeopath tells them. Sometimes those people leave it too late, and sometimes they die when their life might have been saved. Even worse, sometimes those people are parents, and they end up making bad decisions about their child’s treatment. If you doubt me, there’s a whole list of tragic stories on the whatstheharm website. Sometimes homeopathy does appear to work, but that’s been shown time and time again to be a placebo effect. Now, I think that the placebo effect is cool. I mean, it’s really awesome. Basically, if you believe you’ll feel better, you do – at least sometimes. People have even debated whether this can work in animals (probably not, although owners and vets might think it’s working). Personally, I think lots of research should be going on in the area of placebo, because it’s utterly fascinating. But. Here’s the thing: I used the words “feel better” back there very deliberately. The placebo effect is great for things that have a level of subjectivity, such as pain management. When people carry out objective measures, such as lung function for an asthmatic for example, there’s usually little improvement. The placebo effect is highly unlikely to effectively treat diseases such as asthma, or diabetes, or cancer. And that means homeopathy cannot treat those things either. And people absolutely shouldn’t be allowed to tell ill, vulnerable people that it can. Finally, ask yourself this: at a time when disabled people are facing cuts to their much-needed benefits, with many tragic stories of people being designated ‘fit for work’ when they really aren’t, is it right that millions of pounds are available for a ‘treatment’ which, at the risk of sounding like a stuck record, does not work? And for the record, I have absolutely no affiliation whatsoever with any pharmaceutical company. I am, however, more than happy to admit supporting campaigns such as 10:23, because there really is ‘nothing in it’. Late addendum: I have just been reminded (thank you @Sci_McInnes) that of course our Health Secretary, Jeremy Hunt (the one made famous by James Naughtie’s delightful slip of the tongue) is a supporter of homeopathy. Yes, the person that is effectively in charge of the NHS believes that tapping water in a special way turns it into an effective medicine, despite the evidence of the Science and Technology Committee. If you weren’t cross about it before, you really, really should be now. This entry was posted in Everyday chemistry, Medicine, Political, Quackery and tagged 30C, 6C, Alternative health, Dilutions, Homeopathy, Medicine, National Health Service, NHS, Quackery, Side effects by katlday. Bookmark the permalink. And it generated far more traffic and comments than anything else I ever posted. Expect some comments that will attempt to promote homeopathy without actually addressing anything you wrote. Thanks! I wonder if mine will generate as many comments? I really struggle with the idea that, in the 21st century, people can claim to be scientists and at the same time believe that tapping water will create a magical cure. It’s just mind boggling. Great piece. Sadly no many how times you shoot this particular fish, it won’t die. The fact that the heir to the throne pushes this nonsense doesn’t help. And Charles is FRS too! Well… I suppose it IS the Royal Society! In medicine, ‘old’ is rarely ‘good’. Thanks for the info. My question is if Homeopathy doesn’t work then why Modern Medicine is publishing negative articles about it ?what are they afraid of ? why they don’t let people decide what method to choose? I think they are afraid of loosing their business and loose millions of money that technology offers for Modern medicine. yes huge money from MRI,CT scan,Catscan,mamography,three dimential,colonoscopy, not to mention production of new drugs advertising every 5 minutes on TV ? what is the need of all of those to be advertised? to mislead more people? Let people have a freedom of choice and go to whoever they like. At the end they will judge which method really works with their own research and experience. Researchers publish negative pieces about homeopathy because there are NO good quality pieces of research, by anyone, showing that it works. None. Even people desperately trying to prove its efficacy have been unable to do so. Funny that, isn’t it? The James Randi foundation would pay $1,000,000 to anyone that could prove it works, and yet, no one has. I don’t agree people should be just encouraged to try things at random and ‘see what works’. We’ve moved on from that kind of medieval thinking. Now we have evidence-based medicine. It’s thoroughly unethical to encourage people to use unproven treatments, possibly delaying effective treatments until it’s too late. Look what happened to Steve Jobs. You have instantly won another reader for your blog. Being a Chemistry Major (soon to be chemist, hopefully, when I graduate?) myself, I’m so frustrated by the idea of homeopathy and “healing hands” and all this other stuff that supposedly works, but really has no chance of helping someone in need aside from the Placebo Effect (which is, I agree, really fascinating stuff!). I knew Homeopathy was basically snake oil, but I had no idea it was basically selling people water that had once been used to dilute some random, possibly toxic chemical millions of times to the point that there’s not even one molecule of the substance left. This is the best and useful information to us. I got it from this category, it very help us. You made a good site and giving us such a great tips and instructions they very nice. Thanks for sharing the best information with us.